Share this product and receive a $1.75 sharing discount. 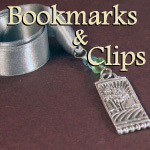 Celebrate a child's life in Christ with this unique, commemorative Sacraments Confirmation Bookmark. 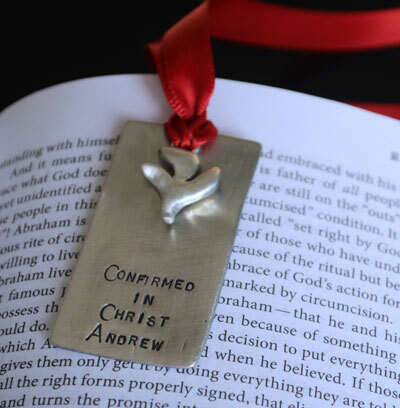 Crafted in affordably priced pewter, your dog tag bookmark comes stamped with the words, "Confirmed in Christ," and our Holy Spirit Dove Charm (3/4"), arranged together on red satin ribbon. For an additional $13 add the young person's name (up to 10 characters). Allow up to 1 week for hand stamping. Dog tag is 1" x 2" (up to 7" with ribbon). Comes boxed with gift card.